HomeAuto EventsBMW Experience Tour 2017 fascinates Delhi NCR. The Experience Tour to travel across14 cities in India with the most aspirational BMW product portfolio on exhibit. Adrenaline-pumping driver training by international BMW Certified Trainers. 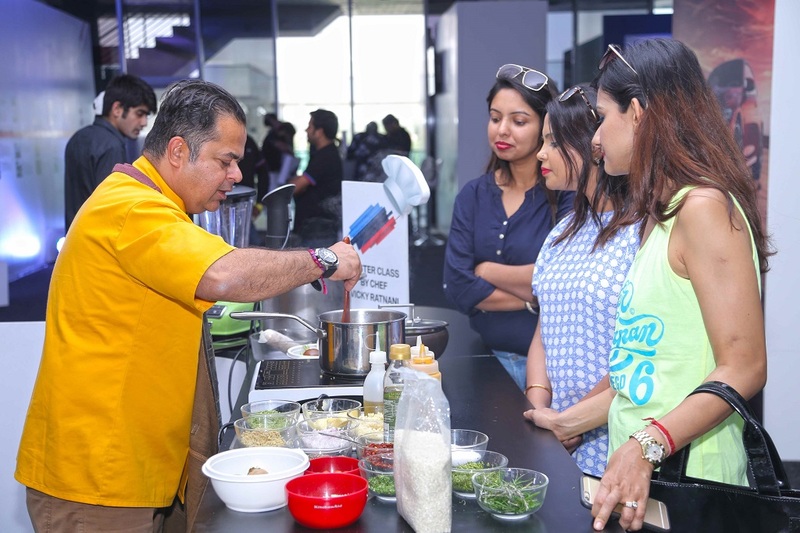 Culinary delights by celebrity chef Mr. Vicky Ratnani. Special offers on original BMW Accessories and Lifestyle products. Delhi. BMW India is hosting its action packed BMW Experience Tour in Delhi NCR from 27-30 April 2017. 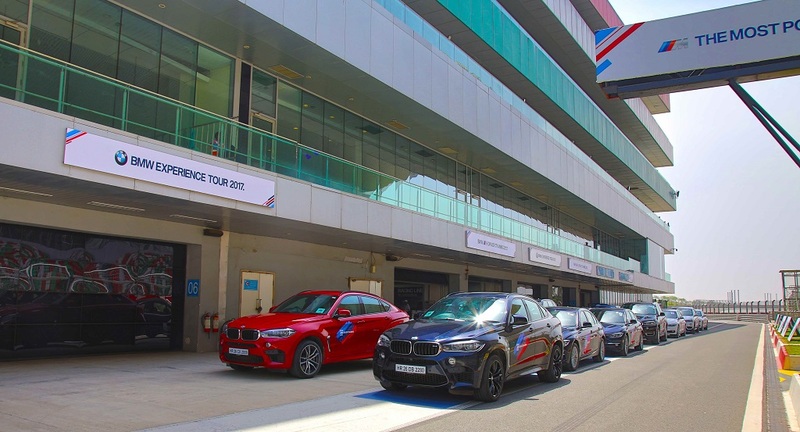 In its fourth edition, the tour demonstrates the dynamism, versatility and high performance of the entire BMW product portfolio in 14 cities across the nation. Post Delhi, the tour will be held in Ranchi, Kolkata, Ahmedabad, Mumbai, Pune, Bengaluru, Hyderabad, Chennai, Kochi and Raipur. The BMW Experience Tour 2017 is an exclusive platform to experience the BMW brand, test drive vehicles and interact with product experts. Customers will have an opportunity to experience the extraordinary control, manoeuvrability, ultimate luxury and unsurpassed comfort of the range of BMW sedans, Sports Activity Vehicles (SAVs) and the sporty M cars. The BMW 3 Series, the BMW 3 Series Gran Turismo, the BMW 5 Series, the all-new BMW 7 Series, the all-new BMW X1, the BMW X3 and the BMW X5 will be available for test drive to participants. Further, BMW certified driver trainers will offer valuable advice on various driving techniques like slalom, fast laps, corner braking and emergency braking. The BMW i8, the all-new BMW 7 series and the BMW M car will be on special display. The BMW Experience Tour 2017 features gourmet delights by one of the most dynamic celebrity chefs – Vicky Ratnani. He will engage the participants through a masterclass that will showcase how to turn everyday food into sheer gastronomic delights. The thrill of high-performing range of sports cars – the BMW M3 and BMW M4 Coupe will also be on display at BMW Experience Tour 2017. 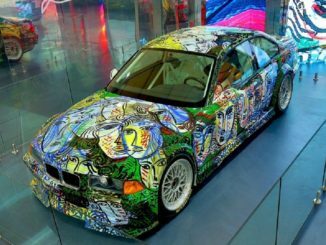 BMW M Automobiles are produced by BMW Motorsport GmbH (a subsidiary of BMW AG). Sophisticated technology, individuality and safety – the BMW M cars offer an unmatched experience of exclusive, high-performance driving. The 2017 edition of BMW Experience Tour will house an exclusive BMW 7 Series Individual Lounge, BMW i8 and BMW M cars display, Lifestyle Section with BMW merchandise, food and beverage section and kid’s engagement zone. While the BMW Accessories and Lifestyle Zone will feature lucrative merchandise at special offers, the exclusive BMW 7 Series Individual Lounge offers customers an opportunity to customize and enhance their vehicle in line with their personal requirements. The BMW 7 Series Individual Lounge will showcase individual paint finishes, leather upholstery and trims. Throughout the Experience Tour, a special structure inspired from the iconic BMW kidney grille will be created in each city representing BMW’s premium international standards. The weather proof, air-conditioned structure, will accommodate the reception, briefing and display areas. A special recreation zone will ensure an entertaining time for the entire family. An exclusive Kids Zone featuring everything from a special driving zone with BMW Baby Racers, electronically simulated track, state-of-the-art driving games like Forza and foosball has been created. BMW Financial Services Zone offers information on the latest finance schemes and offers catering to diverse financing needs of customers. The program offers guidance and gives the customers freedom to choose from an array of customised financial offers. Bird Automotive is a BMW dealership in Gurgaon (National Capital Region) since September 2010. The dealership is headed by Mr. Gaurav Bhatia, Executive Director, Bird Automotive. Deutsche Motoren is a BMW dealership in Delhi NCR since 2007. The dealership is headed by Mr. Yadur Kapur, Executive Director, Deutsche Motoren. Deutsche Motoren represents BMW with four outlets in Delhi NCR. Deutsche Motoren – South East Delhi is located on B-1/H-5, Mohan Cooperative Indl. Estate, Mathura Road, New Delhi 110 044, Deutsche Motoren – West Delhi is located on Moti Nagar Showroom 27B, Shivaji Marg, Moti Nagar, New Delhi 110 015, Deutsche Motoren – Faridabad is located on Plot No.1, Sector- 27B, Urban Estate, Mathura Road, Faridabad 121 003 and Deutsche Motoren – Noida is located on Noida Showroom H-8, Sector 63, Noida 201301 (U.P.) Spread over 15819 sq. ft., 9860 sq. ft., 128650 sq. ft. and 60278 sq. ft. respectively, the dealerships have an ultra-modern showroom integrated with an after-sales service facility featuring service bays and a spare parts inventory. The showroom offers the entire range of fascinating BMW product to its customers. The design of the showrooms is based upon urban street display concept which is a signature BMW layout with a consultation lounge, sales and after sales desk. Libra Autohaus is a BMW dealership in Delhi NCR since May 2016. The dealership is headed by Mr. Manreet Singh Libra, Managing Director, Libra Autohaus. New Delhi – 110064. Spread over 12000 sq. ft. and 22,000 sq. ft. respectively, the dealership has an ultra-modern showroom integrated with an after-sales service facility featuring service bays and a spare parts inventory. The showroom offers the entire range of fascinating BMW product to its customers. The design of the showrooms is based upon urban street display concept which is a signature BMW layout with a consultation lounge, sales and after sales desk. As with every other BMW dealership, Bird Automotive, Deutsche Motoren and Libra Autohaus have provided its staff intense training in management of sales, service, spare parts and business systems to ensure customers receive best-in-class pre and post sales ownership experience. A team of service engineers has also been trained at BMW’s training centers in Singapore, Malaysia and Germany. With its three brands, BMW, MINI and Rolls-Royce, the BMW Group has its sight set firmly on the premium sector of the Indian automobile market. Along with automobiles and motorcycles, the BMW Group’s activities in India comprise of financial services for its premium clientele. Till date, BMW Group has invested 11.3 billion Indian Rupees (€ 167 million) in its subsidiaries in India. 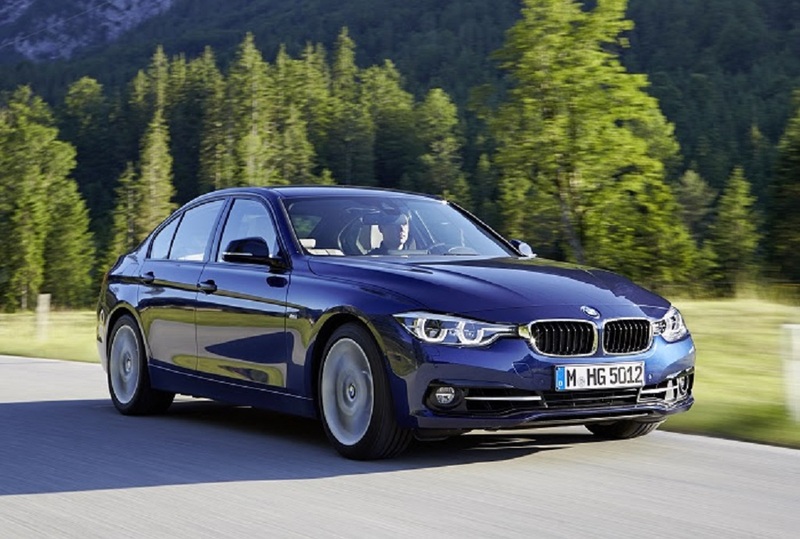 (BMW India –INR 4.9 billion (€ 69 million) and BMW Financial Services India – INR 6.4 billion (€ 98 million). BMW India is a 100% subsidiary of the BMW Group and is headquartered in Gurgaon (National Capital Region). The wide range of BMW activities in India include a manufacturing plant in Chennai, a parts warehouse in Mumbai, a training centre in Gurgaon NCR and development of a dealer organisation across major metropolitan centres of the country. BMW Plant Chennai started operations on 29 March 2007. The BMW Plant Chennai locally produces the BMW 1 Series, the BMW 3 Series, the BMW 3 Series Gran Turismo, the BMW 5 Series, the BMW 7 Series, the BMW X1, the BMW X3 and the BMW X5. BMW dealerships also display the BMW 6 Series Gran Coupe, the BMW X6, the BMW Z4, the BMW M3 Sedan, the BMW M4 Coupe, theBMW M5 Sedan, the BMW M6 Gran Coupe, the BMW X5 M, the BMW X6 M and BMW i8 which are available in the country as Completely Built–up Units (CBU). The total number of employees at BMW Group India is over 650. More than 1,200 additional jobs have been created in the dealer and service network. BMW India is the pioneer in bringing luxurious dealerships to India. BMW India has set a decisive course by setting up BMW dealerships of international standards across the country. BMW India has also set very high standards in service quality and customer care. Currently,BMW India has 41 sales outlets in the Indian market. BMW India offers ‘BMW Premium Selection’ with the finest range of pre-owned BMW vehicles that are carefully selected and comprehensively examined for quality. BMW Premium Selection vehicles can be ordered through exclusive BMW Premium Selection dealerships at 13 locations in the Indian market. BMW i stands for visionary electric cars and mobility services, inspiring design and a new understanding of premium that is strongly defined by sustainability. BMW i8, plug-in hybrid sports car, is available at four BMW i dealerships as a Completely Built-up Unit (CBU). MINI has successfully established itself as a premium small car brand in India. Presently, the MINI model range in India includes the MINI 3-door, MINI 5-door, MINI Convertible, MINI Countryman and the MINI Clubman. MINI has established five exclusive dealerships in India. The International Purchasing Office (IPO) established in Gurgaon identifies and assesses potential suppliers for BMW, MINI, and BMWMotorcycles taking into account BMW Group’s requirements for quality, technology and logistics. The IPO strongly focuses on increasing the sourcing of production material (components) as well as IT and engineering services from India to the BMW Group international production network. BMW Financial Services India is a 100% subsidiary of the BMW Group and is headquartered in Gurgaon (National Capital Region). BMWFinancial Services India operates with three business lines: Retail Finance, Commercial Finance and Insurance Solutions (as corporate agents). The services offered through BMW Financial Services India are significantly valuable to the premium clientele who requireexclusive and flexible financial solutions. Service excellence is the primary focus of operations across all business lines. BMW Financial Services India offers solutions for retail automobile financing for BMW customers and multi make customers, financing forfleet owners and commercial financing for BMW dealerships and multi-make dealerships. Commercial finance solutions offered to BMWIndia dealerships further strengthen operations in the country and reinforce the BMW brand. BMW Financial Services India also offers BMWLease for individuals and corporate customers. BMW Financial Services India offers insurance solutions (as corporate agents) to its customers through its cooperation partner in India. With its three brands BMW, MINI and Rolls-Royce, the BMW Group is the world’s leading premium manufacturer of automobiles and motorcycles and also provides premium financial and mobility services. As a global company, the BMW Group operates 31 production and assembly facilities in 14 countries and has a global sales network in more than 140 countries. In 2016, the BMW Group sold approximately 2.367 million cars and 145,000 motorcycles worldwide. The profit before tax was approximately € 9.67 billion on revenues amounting to € 94.16 billion. As of 31 December 2016, the BMW Group had a workforce of 124,729 employees.